We have a nursery located downstairs for babies who can sit up on their own up to 2 years old. It's fully staffed by two experienced nursery workers so that your child can play in a safe environment while you worship. The nursery is fully equipped with toys, diaper changing area, and even a small space for mothers to nurse privately. You may drop your child off anytime after 10:15am and pick him or her up by 12 noon. Our Sunday School begins after children spend the beginning part of worship with the adults. We love that our children get to experience worship together within their families and believe that it is an important part of their spiritual growth. Children from 2 years old up until 5th grade are dismissed for Sunday School around 11am, just before the sermon begins. We have distinct classes and teachers for each grade from Preschool to 5th. 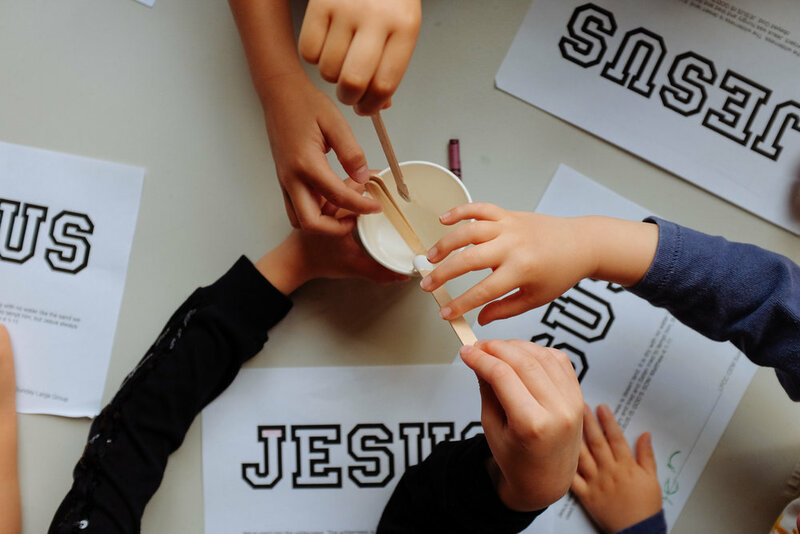 Every third Sunday of the month, we have CEM worship where the kids participate in their own time of worship and then attend their respective Sunday school classes. On these days, our children meet in the ballroom at 10:30am.